Let's swap three (3) blank postcards in a Halloween decorated envelope. Postcards should be unwritten and unstamped. They should be store bought only and of good quality. (No handmade/freebie/ad/zazzle). Sender's choice - they don't have to be Halloween related. 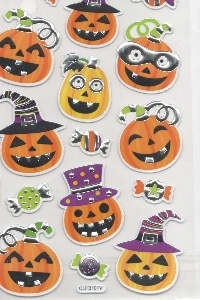 The envelope must be decorated with Halloween themed items - stickers, washi tape, hand drawn images, etc.